MISSION, KS--(Marketwired - Jun 13, 2013) - (Family Features) Runny nose, itchy eyes and headache. These are just a few ailments suffered by homeowners with poor indoor air quality, potentially as a result of smoke, odors, dust or other contaminants. According to the Environmental Protection Agency, people spend up to 90 percent of their time indoors, where air quality can be two to five times more polluted than the air outside. While asthma and allergy sufferers, children and the elderly are particularly sensitive to indoor air quality, everyone is impacted by it. Fortunately, a few simple and affordable home improvements can go a long way to benefit your home's air. Despite their fresh scents, air fresheners and laundry products can emit dozens of chemicals. For truly fresh air, look for fragrance-free or natural products and skip aerosol sprays. Keep rooms ventilated by opening windows and add a fern or aloe vera plant to help purify your air. 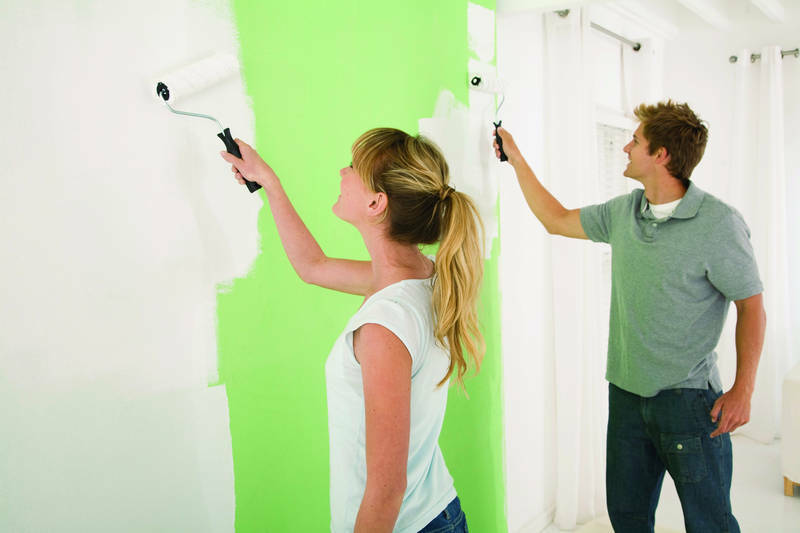 Sherwin-Williams Harmony® Paint helps reduce common indoor odors like those from cooking and smoke. Harmony's new enhanced zero-VOC formula (available in flat and eg-shel) helps promote better indoor air quality by reducing some indoor air pollutants from potential sources like insulation, carpet, cabinets and fabrics. Household dust can trap chemicals and allergens. Some objects are prone to dust, such as rugs, upholstered furniture and infrequently moved accessories. Opt for easy-to-clean or washable items to avoid dust getting trapped in your space. Moisture can attract dust mites, mildew and mold, so keep your rooms at a safe 30 to 50 percent humidity level. An inexpensive indoor humidity monitor will check your home's levels, and a basic dehumidifier can solve many moisture challenges. Use a vacuum cleaner that is equipped with a HEPA filter (a high-quality, dense type of filter) and rotating brushes to remove dust and dirt from floors, and vacuum weekly, especially in high-traffic areas. A good vacuum will not blow dust or dirt out in the exhaust. Twice a month, use a microfiber mop on hard floors, skipping any chemical cleaning solutions in favor of warm water or a natural product. For additional information on enhanced Harmony Paint, visit Sherwin-Williams at http://www.sherwin-williams.com/homeowners.